Dan came through the door as I was changing a nappy covered in a puddle of tears. I said five words I haven’t verbalised for quite some time. I CAN’T DO IT ANYMORE! It’s not what you think either. I’m coping with the newborn it’s the three year old who I can’t seem to work through. This age are notorious for having small attention spans. She stresses me out beyond belief with her inability to listen and her ability to do everything possible to be naughty. How is it that two seems impossible? I had been warned about it being hectic and the first born often reacting badly to the new addition. Maybe this is her cry for attention. It’s gotten to the point of this continuous dialogue increasing in volume as she cheekily says NO! ‘Matisse can you stop doing that please? Matisse can you stop doing that please? Then there are tears and tantrums for 30 minutes. STOP!STOP!STOP! And a big scream of STOP! At the end to top it off. That one happened last night as she was about to stomp on Willows head as she jumped on the bed. This is my reaction to a dangerous situation yet it is still ineffective. I got her in to bed and she was happy as Larry when Dan got home to give her a goodnight cuddle. I wanted to be him for that moment. As I unloaded on Dan it became painfully obvious my coping mechanisms were completely broken. Broke down long ago I feel. Getting to bed late and Willow waking a bit in the night wasn’t helping the situation. So I got told to go to bed. I had nine hours sleep! And will be going to bed early from now on. 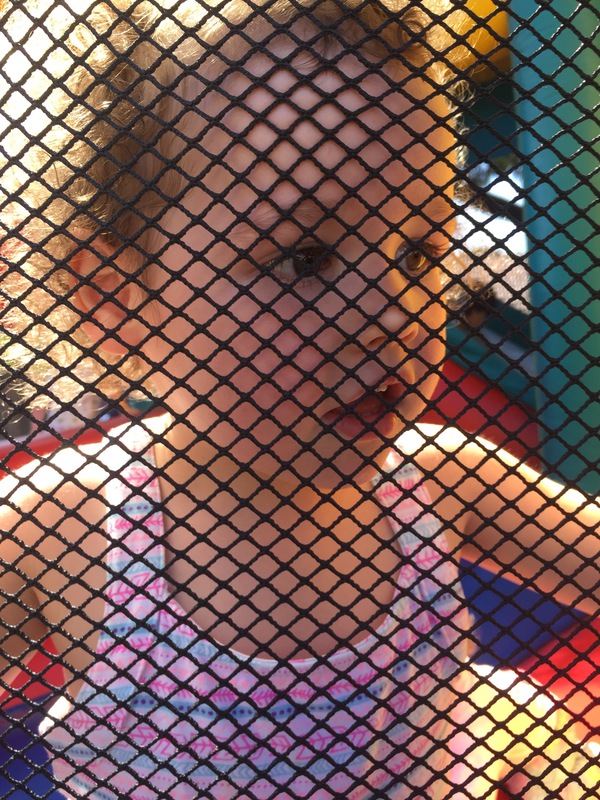 Now to work on my communication skills… how do I get her to listen without getting to the yelling stage? And how do I avoid the tantrums? Any advice would be appreciated because I am completely drained emotionally. I want to enjoy the time I have with her, not be telling her off all the time and have her rolling around on the ground crying. Often stopping and asking her for a cuddle and telling her I love her works but sometimes I need her to learn that crossing the road with out an adult is not okay. What are your suggestions? I’d love to hear of your experiences. The Dummy Fairy is Coming!!!! It was all very random. I was looking at Matisse’s teeth this morning and remembered my dentist gently prodding me to stop the dummy before she is five. At that stage I was heavily pregnant and insisted once this baby was out the dummy would be gone. I’d let her get used to the new human making changes first. So here we are. My sister told me a story about the dummy fairy coming one night and miraculously erasing them forever. Leaving a little present in her wake.It worked for her kids so why not give it a shot. To be honest I wasn’t overly confident. Matisse thinks the world of her cousins so I sold her a story about when they got a little brother or sister they became big kids and didn’t need dummies any longer. She ran with this and went and scooped all of them up around the house. Too easy. When going to bed she broke my heart saying ‘I’m sad, I have a dummy all of the time’. The enormity of the situation was made clear. Every day that she has been alive she has had a dummy by her side. No nappies, no dummies. I have a BIG KID now. Willow better stay in baby land for a while. This morning she was very happy to find a little present and a certificate. I read an article that targeted parents as the source of their grown/teenager children’s behavioural issues. It angered me slightly as the article zeroed in on discipline as to why they are turning out this way. A little ridiculous to not take in to consideration social or societal factors. Stating that discipline is lax and that children will turn out bad isn’t the answer or even insightful. It is scary not knowing what you will face as they grow up. Who they will become friends with, will they mix in the right crowd? and make the better choice? You can only do your best. I hope to have open dialogue with my kids and make sure that they know it’s okay to mess up but to own their choices and face the consequences. This really sounds like a solid plan doesn’t it??? I have NO idea what I am doing but really, when do you? Having everything so much more accessible now completely freaks me out and also wondering what technological changes will occur before Matisse becomes a teen is another. Do you think about how parenting your child now will shape them as adults or teens? How do you know you’re doing the right thing? And lastly when do they stop saying ‘I don’t like it!’? Matisse’s current phrase of choice. With all of this in mind, you make what you think is the better choice for your child. Cross your fingers and toes and hope like hell it won’t lead to some sort of awful behaviour in the future.